Posted in: Kyosho, Radio Control. Tagged: A Main Hobbies, Contests, Racing, RC. 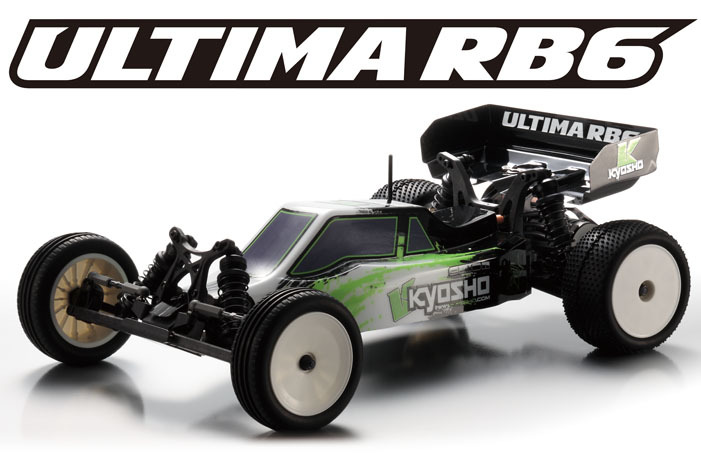 In other contest news, A Main Hobbies is giving away a Kyosho Ultima RB6 ReadySet 1/10 2wd Buggy, with their “Get in the Mix with the RB6 Giveaway. All you need to do is simply fill out an entry form by 4pm PST by Friday Feb 21, 2014. The contest is only open to residents of the United States of America. 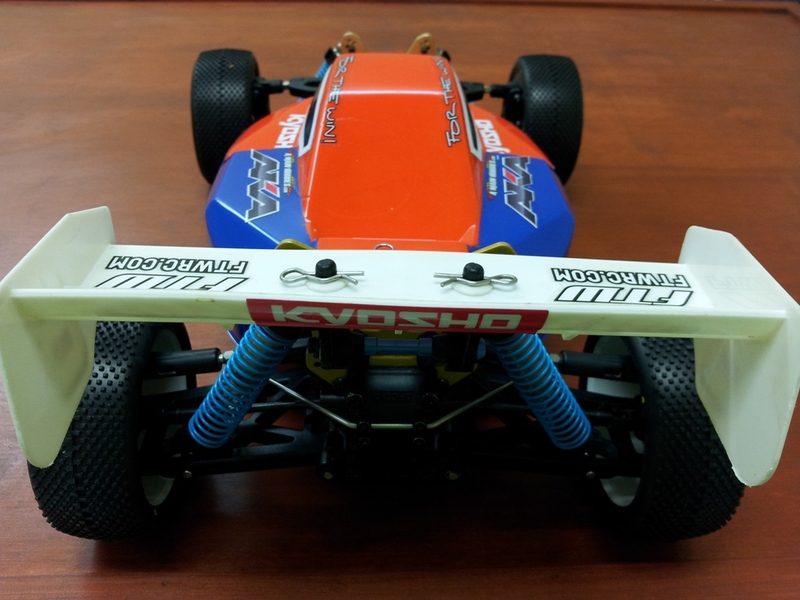 For more details, click on the Kyosho RB6 Contest Banner at A Main Hobbies Hobbies. When you enter these contests, make sure to check your Junk and Other Email Folders regularly. Stories are circulating of people not realizing they won a contest because an email was directed to a junk folder. By the time the winner figures it out, if they ever do, the company has moved on and presented the prize to the next person on the list. Posted in: Kyosho, Radio Control. Tagged: A Main Hobbies, Builds, RC. My Kyosho MP7.5 Project is complete. I am very happy the way this turned out. Here are the details. The car was purchased with a Top Cad conversion kit, now I didn’t like where the battery was mounted on the kit so I moved the tray forward to allow the esc to be mounted at the back, also mounted the tray direct to the chassis to make it low as possible, this is more the standard setup on modern buggies. 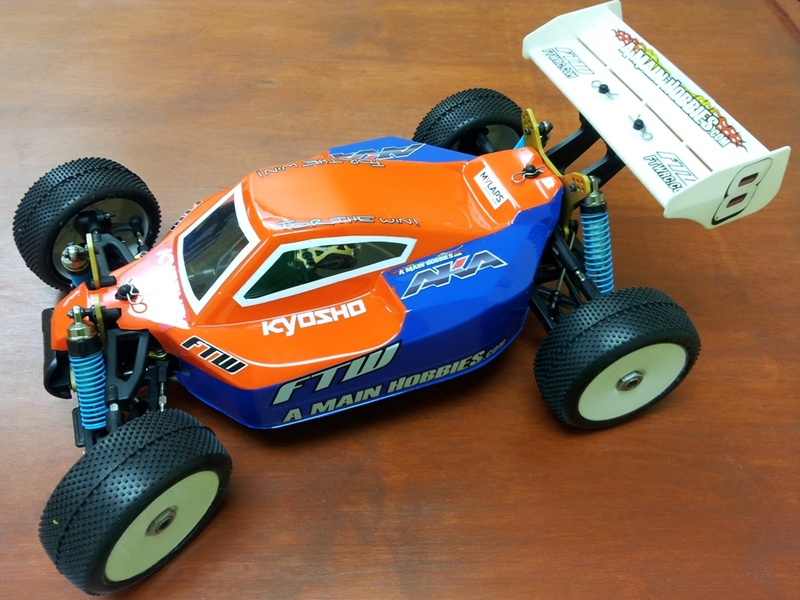 Second I purchased a FTW Night Fox Kyosho MP9 Body, Blue medium springs and Kyosho conversion receiver box kit, and Mylaps Transponder form http://www.amainhobbies.com. I trimmed the side guards to fit the new body and also trimmed the body and painted it. After that, I think the body fit perfect and I can get my 4s hard case lipo in there without jacking up the body. Note I used a couple of rubber O rings to secure the body under the clips because there seemed to be a little too much play between the body and the clips for my taste. Everything got a good clean and lube, the diffs rebuilt, camber and toe all set, as well as the ride height. The end result is what you see in the photos bellow. Posted in: HPI Racing, Pro-line. Tagged: A Main Hobbies, Ty Tessmann. 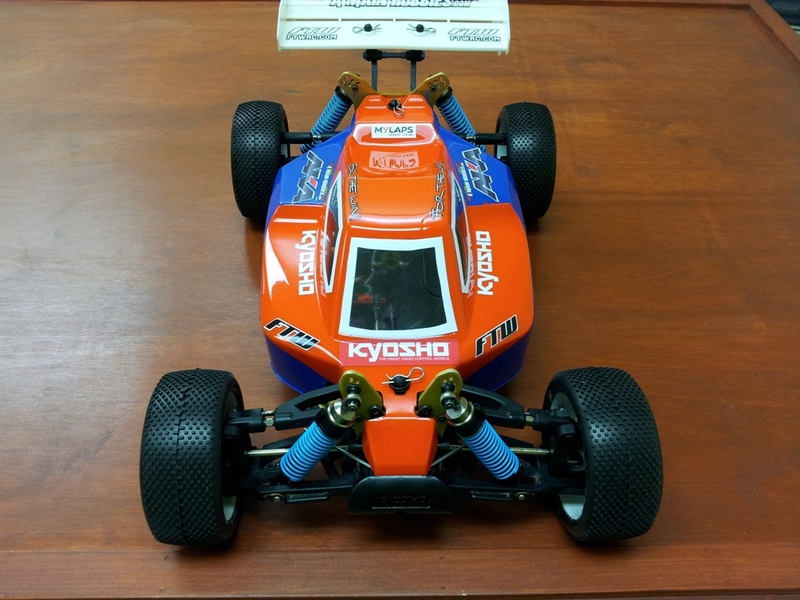 Posted in: Kyosho, Radio Control. Tagged: A Main Hobbies, RC. 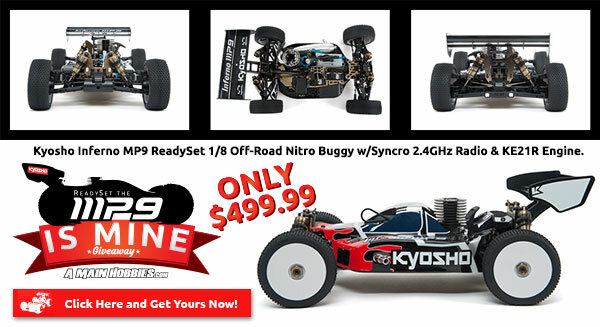 http://www.amainhobbies.com is giving away a Kyosho MP9 ready set! Don’t get left out! Posted in: M.I.P., Radio Control. Tagged: A Main Hobbies, New Releases, RC, Upgrades. The M.I.P. PRO8 Conversion Kit has been creating a lot of buzz and right fully so, the idea of being able to convert your 4WD short-course into a 1/8 scale buggy at a reasonable price is fantastic. Many people are anxiously looking forward to the first reviews. Chad Bradley, multiple world championship finalist and long-time 1/8-scale racer, who is now with A Main Hobbies Product Development, has released his thoughts on the M.I.P. 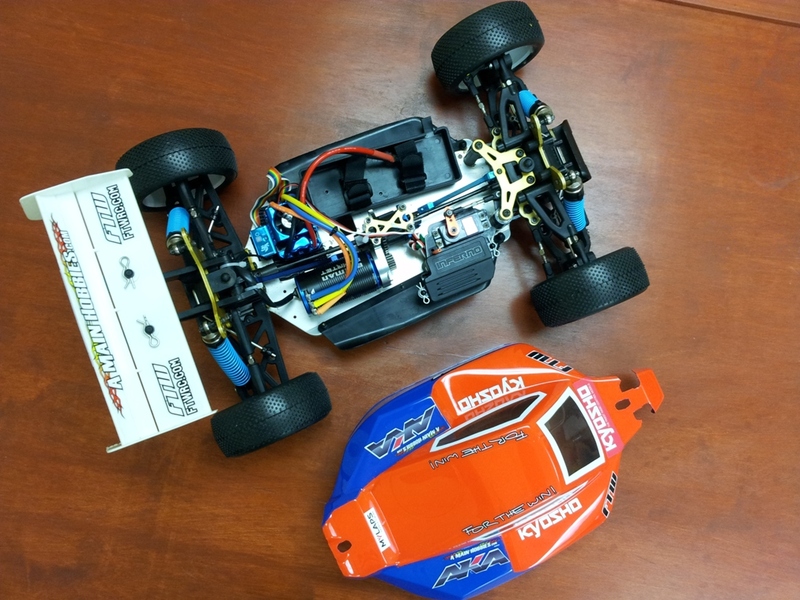 PRO8 Conversion Kit after he did some testing at A Main Hobbies’ Outback Raceway. The initial review looks pretty good, here is a small sample. 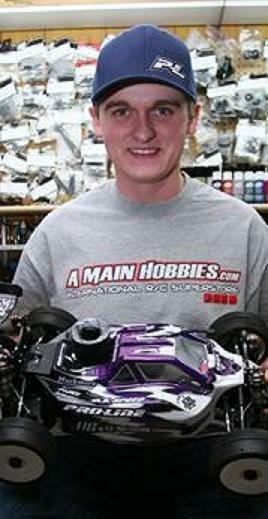 You can read all of Chad’s thoughts by clicking on the A Main Hobbies Team Blog. You can purchase your own M.I.P Pro8 Conversion Kit at A Main Hobbies. Posted in: Pro-line, Radio Control. Tagged: A Main Hobbies, RC. 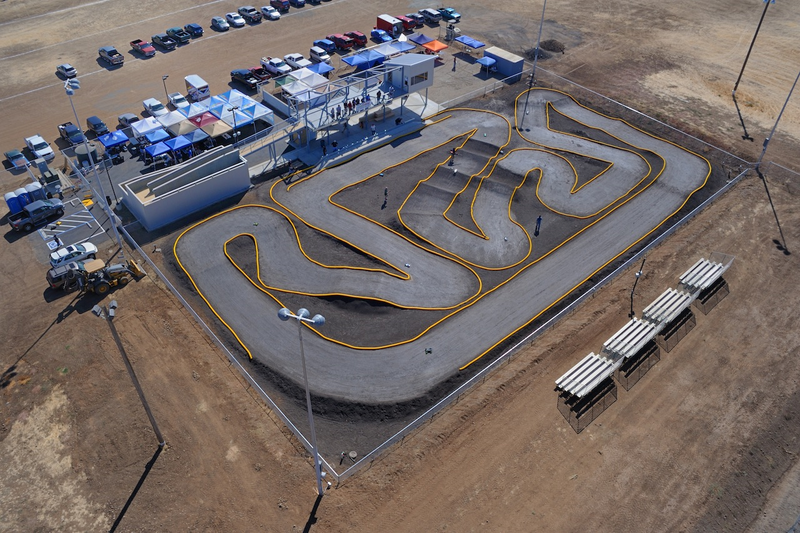 August 8th-11th the super, high-bite Silver Dollar Raceway is hosting the ROAR 1/10-scale Electric Nationals. The track features a high bite, high traction surface. This became such a concern that Proline Racing developed it’s “X2” compound exclusively for high-bite outdoor tracks. This will be the tire used at the 2013 ROAR 1/10-scale Nationals and 2013 IFMAR 1/10-scale World Championships both hosted by Silver Dollar Raceway. Also LiveRC will be covering all the action for your computer or smart phone. 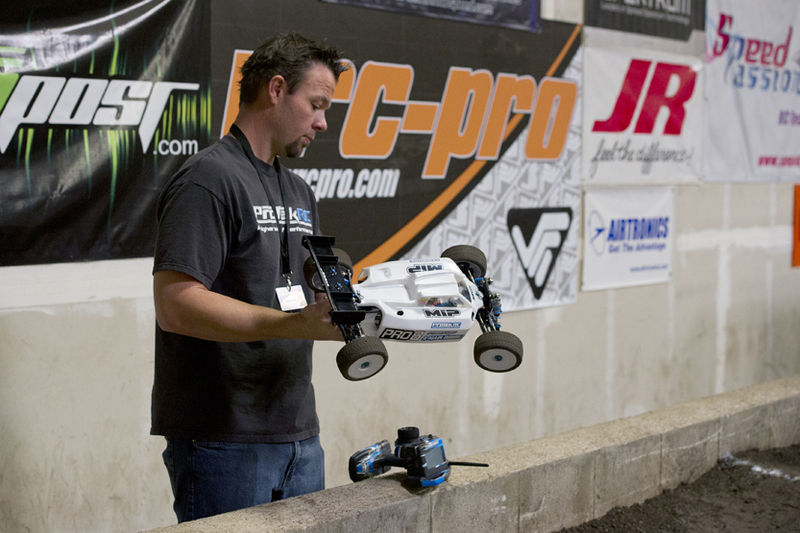 You will be able to see different angles of the ROAR Nationals “live” as they happen from the several trackside cameras. Their reporting will keep you updated on all the action as it unfolds in the pits. You can check them out at LiveRC.com.